One or more missing teeth can affect more than your confidence in your smile; it also affects how well your bite works and the long-term integrity of your oral health. Prosthodontic dentistry is the art of creating and placing advanced prostheses to reestablish a complete, beautiful, healthy, and fully-functional smile. Depending on how many teeth you’ve lost, your prosthodontist can custom-craft a dental bridge, partial denture, or full denture. 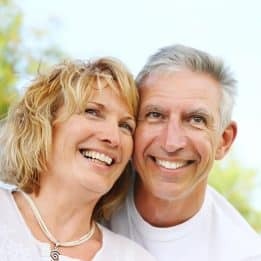 For optimal results, your dentist might suggest anchoring your prosthesis to one or more dental implants, which replace the roots of your lost teeth within your jawbone. Expert prosthodontic dentistry offers innumerable benefits, including better long-term oral health and a reduced risk of losing more teeth in the future. To learn more, schedule a consultation with our experts by calling the My Dentist office in Londonderry, NH, today at (603) 965-3407.